Beyond The Clouds’ Becky Carruthers was in Tibet last year and visited Amdo Province and spent some time hanging out with the pilgrims in Labrang. Whether you’re on a Buddhist pilgrimage or just interested in finding the most beautiful, striking attractions in Ladakh, the monasteries of Ladakh should be high on your agenda. Read on to discover the 9 must-visit monasteries in Ladakh that you really can’t miss. Don’t know the difference between a walking holiday and a trek? Read on, as we give you the low-down on the best options for walking and trekking in Bhutan. Adventurous and curious travellers have been heading to Nepal for decades in search of new experiences, but what is it that draws them there? For a small country, Nepal has a little of everything, geographically - towering peaks, dense jungles, lowland plains, turbulent rivers, glaciers and hot springs. The old hippy haunts from the 70's heyday can still be found in some pockets of Kathmandu and Pokhara, but they've been overshadowed by the recent trend of adventure tourism that's developed over the past decade in the Himalayan country. There's not many places in the world where you can paraglide one day, bungy jump the next, and go white water rafting the next day, all while returning to a comfortable lodging overnight. Nepal is the home of adventure tourism in Asia, with options to suit every level of confidence. In Nepal's Chitwan and Bardia National Parks, take a walking safari or jeep tour to see endangered tigers, rhinos, gharial crocodiles, wild elephants, and more. If you're extremely lucky, you could even be one of the few people who sees the endangered leopard in the wild. You may think of women dressed in sari and visiting Hindu temples when you think of Nepal, but the country is actually multi-cultural with different dress, religious traditions, languages, and food in each community. From the Sherpa people who live near Tibet, to the Newar people of the Kathmandu valley, to the tribes of the Terai in southern Nepal, the culture and traditions are so different you'd be surprised to think they're all Nepali. Kathmandu is a city of chaos and contradictions, where the modern world has grown around ancient alleys and shrines, buses hurtle past cows in the main streets, and you can drink your chai from a five-star restaurant or a cart on the side of the road. Hidden in pockets of the city you'll find charming restaurants, boutique hotels, or colourful shrines that can make you feel like you've stepped back in time, far away from the modern world outside on the street. It's discovering your own hidden gems that make the journey so rewarding. On the Annapurna circuit, renowned for its breathtaking views, you can enjoy the full experience of trekking in the high mountains without having to worry about where you'll sleep for the night. The Annapurna Circuit is a tea-house trek, meaning each night is spent in the comfort of an established tea-house, complete with nutritious meals and hot tea to start your day. From Hindu temples to Buddhist monasteries, meditation retreats to yoga camps, Nepal has long been a home for foreign tourists seeking spiritual enlightenment. The clear air of the mountains, the hum of the jungle, and the slow pace of life all lend themselves perfectly to a spiritual retreat. Nepal is a safe country to travel to with children, and you'll have no problems finding comfortable hotels, agreeable foods, or fun experiences to keep them entertained. While many people think of Nepal as a backpacker's destination, it's also very family friendly. You know you've been to Nepal when you crave a big plate of daal bhat for breakfast, with a chai on the side. The hearty dish of rice, lentils, and curry is a favourite among tourists, trumped only by momos - the Nepali dumpling - which come with various fillings from meat to veg to chocolate! 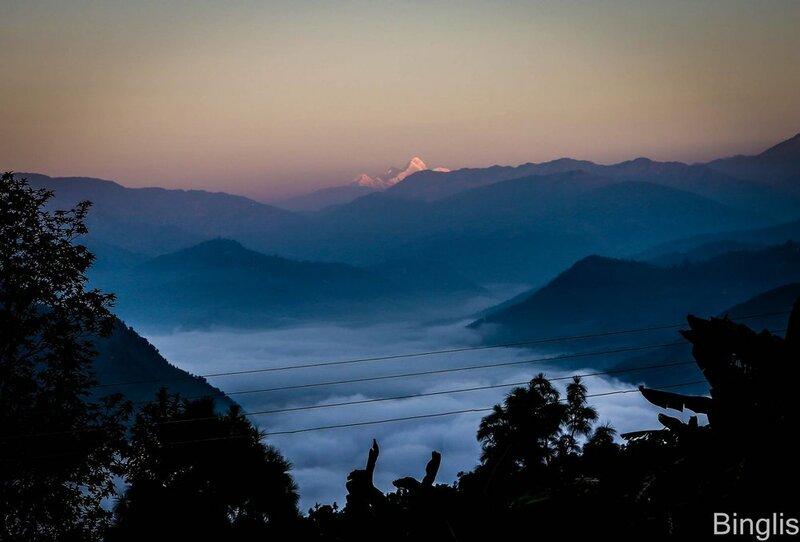 Whether you're in the valley, the city, or the mountains, Nepal has some of the best sunsets and sunrises to offer. Colourful, highlighting the mountain peaks or touching the tips of the trees, they're worth waking up early for. For a country so small, landlocked in the middle of a continent, Nepal is packed full of stunning scenery, adventurous activities, cultural charm, and unforgettable experiences to make it worthy of a top spot on any traveler's bucket list. Itching to pack your bags already? Check out our tour and trekking options in Nepal, or contact us for more information.